The notice at the gate says the museum moved to its present address in July 2003. Not true. The old museum closed then, but it took another four years to build the new one. In fact it didn't open until June 2007, although it had been used for the International Fantastic Stone Festival in the previous November. It was worth the wait. 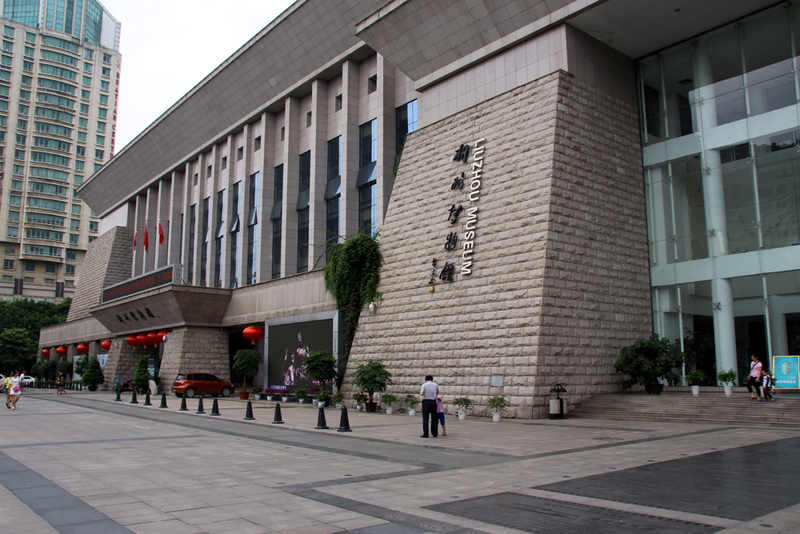 There are three floors of exhibits. The first floor has a free area which stages occasional exhibits. Paintings, photography, pottery etc. In the main museum where the permanent exhibits can be found, the first floor contains a large collection of fossils found in the surrounding area. the exhibition hall is dark and there are loudspeakers playing spooky sounds - presumably an attempt to imitate the sounds of prehistoric, dinosaur ridden Liuzhou. On the second floor is the History Gallery. This is what it says. 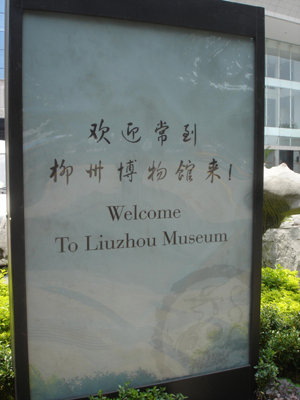 Liuzhou from the prehistoric times through to around the Tang Dynasty. There is very little mention of modern history here. The second floor also hosts the Minorities gallery. Mock ups of minority homes sit side by side with real artefacts - clothes, jewellery, agricultural equipment etc. Perverts can even peek at a Zhuang girl having a bath! The third floor contains two galleries. One of Zhuang bronze artefacts and one of painted fans and calligraphy. Unfortunately, apart from the welcome notice, the only English is the names of the galleries. Exhibits are labelled in Chinese only (except for Latin names of fossils and bone remains). But I can recommend a visit as a good way of passing a couple of hours. Entry to the museum is free, although, it is best to pre-book. The temporary gallery on the first floor is free and does not require booking. There is also a small shop on the first floor selling the usual stuff museums sell. 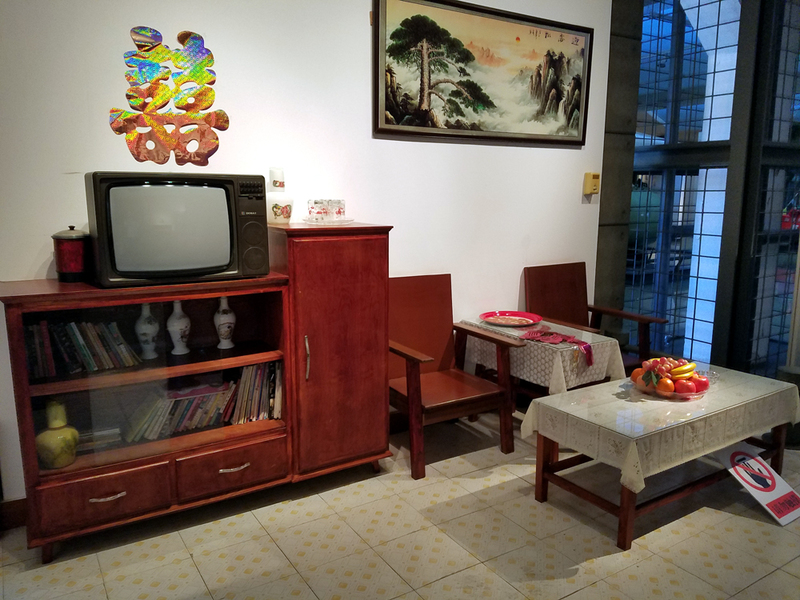 The museum is on the north-eastern corner of Liuzhou People's Square, From the BuBuGao building, looking to the square, it's the first building on the left. Opposite the Chinese Traditional Medicine Hospital. Open every day except Monday. Last admission 4:30 pm. This place surprised me. I wasn't expecting to enjoy it much, but it was fascinating. The museum was larger than I expected – two large floors. 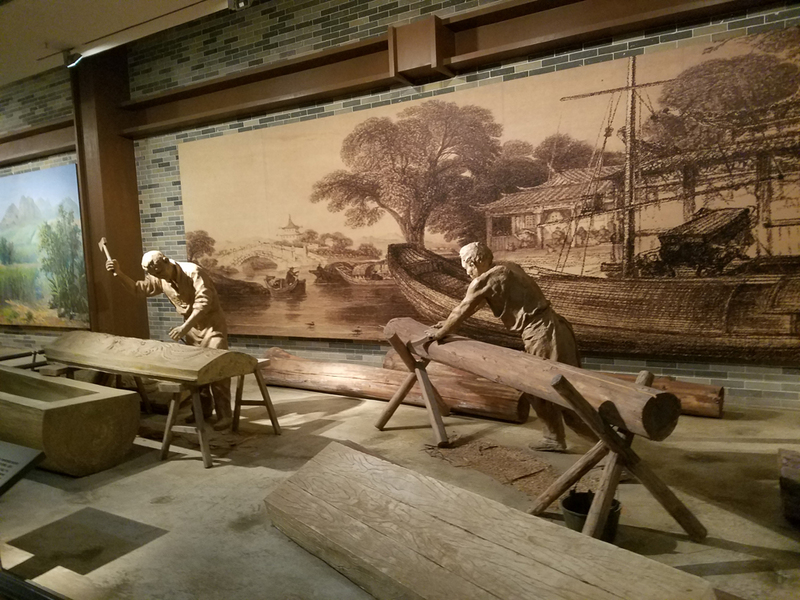 It shows the development of Liuzhou’s industry from prehistory up to last week, laid out in chronological order. Real exhibits include both products and the machinery used in their manufacture. Older technology is shown through recreations. Admission is free.Depending on your curiosity level, you need at least an hour to get round, but you could easily spend half a day there if you are so minded. 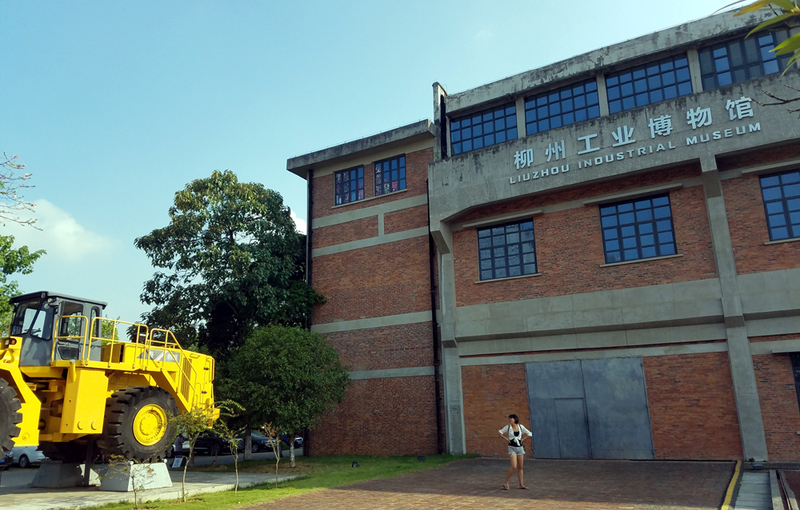 This small factory lay empty for decades until it was taken over by Liuzhou Museum and restored. It opened in March 2017 as a sort of museum. 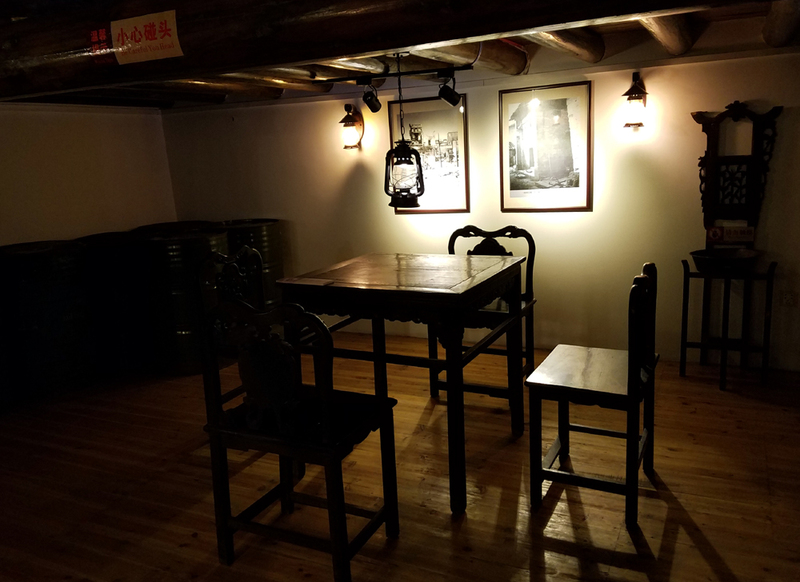 There is little in the building to reflect its past as a printing shop, but it is interesting, to me at least, to see the architecture and they have decorated the place with historical photographs taken around Liuzhou in the 1930s and 1940s. As with the main museum, nothing is captioned or explained in anything other than Chinese. when the printing house was active. When you get to the third floor at the top, you find out the real significance of the building and why it has been preserved. Not only was it the local printers’ shop, but it was all the secret HQ of the revolutionary and illegal communist party during the 1930s and 1940s. Entrance is free but they would like you to sign in, a mere matter of giving any name and any phone number. No ID is checked. There are also a (very) few books and souvenirs on sale. 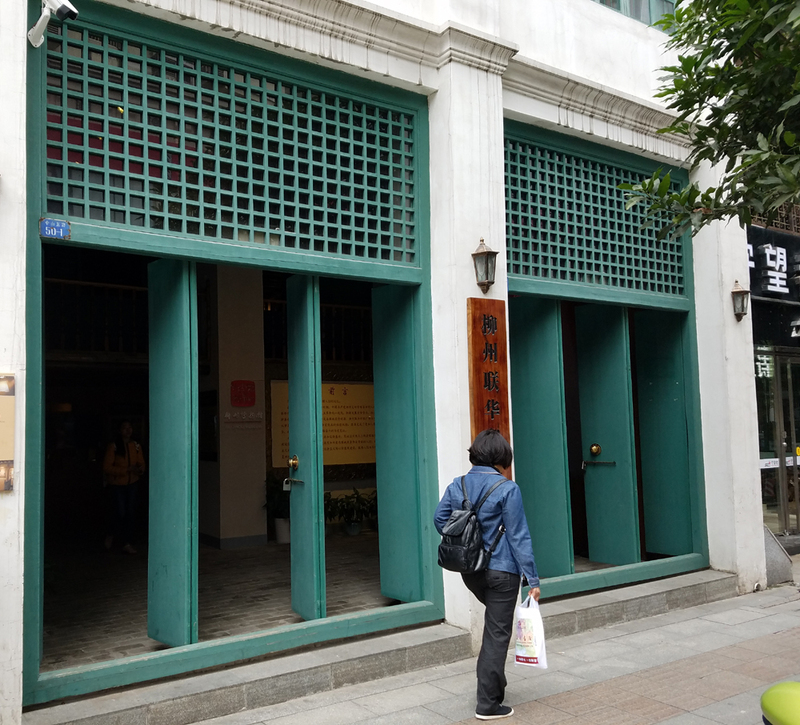 It is just along Zhongshan Road from McDonald’s and the Xinhua bookstore by the red star. Open 9am to 5pm. Closed Mondays.